Orthodontics must be done by a professional licensed in the field. Here’s how to find what you need. You think you might need to find an affordable orthodontist. But first of all, what is an orthodontist and how is he or she different from your dentist? Orthodontists are specialists in their field, having three or four years more training after dental school. An orthodontist is responsible for the proper alignment of your teeth. Though orthodontics marketing often only talks about one’s desire to “have a great smile,” straightening your teeth has importance beyond cosmetic value. Of course everyone wants to have a balanced mouth for appearances; but even more crucial is the fact that you can pay a great deal of money later if you don’t have your teeth properly aligned when you’re young. 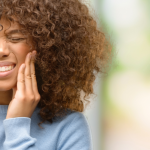 Misalignment due to overbite or underbite, or crossed or crooked teeth, can cause: jaw and muscle strain, increasing risk of breaking a tooth; interference with chewing properly; and it can make tooth care difficult, leading to cavities, decay, or gingivitis. 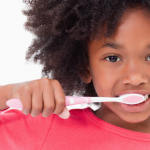 What kind of appliances are used by orthodontists? Orthodontists use a variety of tooth technologies to ensure successful treatment. Appliances can be fixed or removable. Fixed appliances include braces, special fixed appliances, and fixed space maintainers. Braces consist of brackets, wire and bands; bands are generally fixed around the tooth, while brackets tend to be bonded to the front of the tooth. Braces must be adjusted monthly, and the process can have a duration of a few months to a few years. Special fixed appliances are used to control thumb sucking or tongue thrusting and are generally used as a last resort. Fixed space maintainers maintain a space between your teeth if a baby tooth falls out prematurely and the space needs to be held open until the new tooth erupts. The cost varies depending on the treatment required for each case. The length of treatment combined with the severity of the problem will determine the fee. Fees can vary according to region and orthodontist. According to the American Dental Association, dental fees in 2011 (its most recent study) ranged from $4,500 to $6,360 for adolescents, with little difference in price for adults. 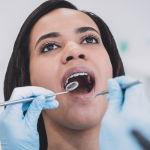 You can find an affordable orthodontist in an alternative venue that could cut a huge portion of the normal cost of treatment by going to a dental school. At Penn Dental Medicine, orthodontists at the top of their field oversee the work of orthodontists-in-training at Penn. 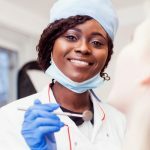 You do not risk receiving a sub-par treatment at a dental school because your treatment is always being supervised by an already-licensed professional. This option has brought affordability to hundreds of adolescents and adults seeking orthodontic or other dental care. Your eligibility will be determined after one visit, after we assess whether your treatment aligns with our curriculum needs. We hope that you will consider the Penn experience with an affordable orthodontist and quality treatment that will last you a lifetime. Call us at 215-898-8965 or visit here to get started today!